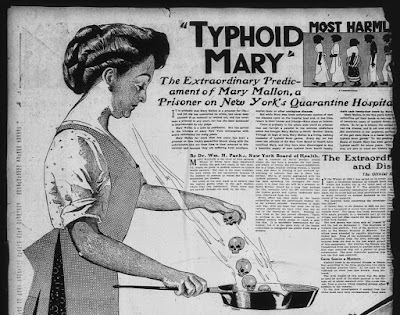 Typhoid Mary is Mary Mallon, the first person identified as an asymptomatic carrier of the pathogen associated with typhoid fever, thus the nickname "typhoid Mary". She was thought to have infected several people. Her occupation as a cook made it so. Wherever she works there was always an outbreak of typhoid fever. When she was arrested, she denied being the cause of the illness but she was quarantined for 3 decades. to avoid infecting others and never to employ herself as a cook. But soon after a few weeks of her release news of typhoid fever incidents have been traced. She was searched for and quarantined again. How Did I Become Vegan?